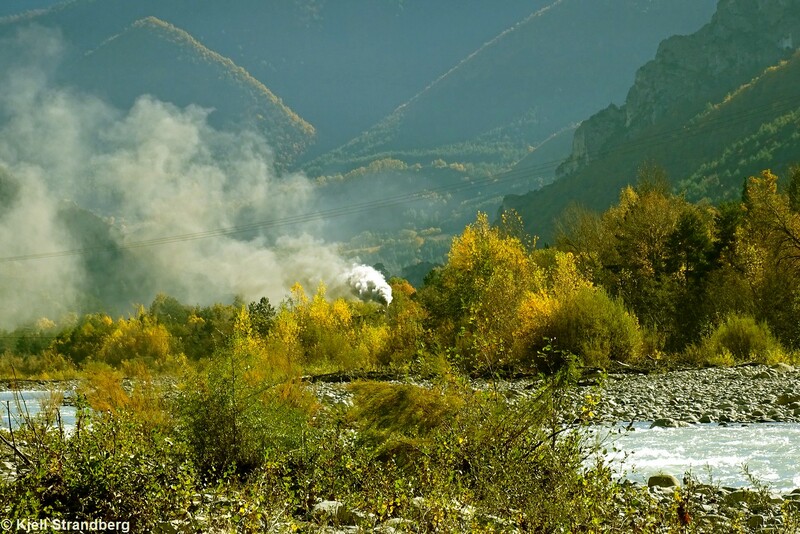 The GECP Mallet steam locomotive E 211 moving with a good fire in the firebox will under suitable weather conditions create very nice clouds of mostly steam but also some smoke. 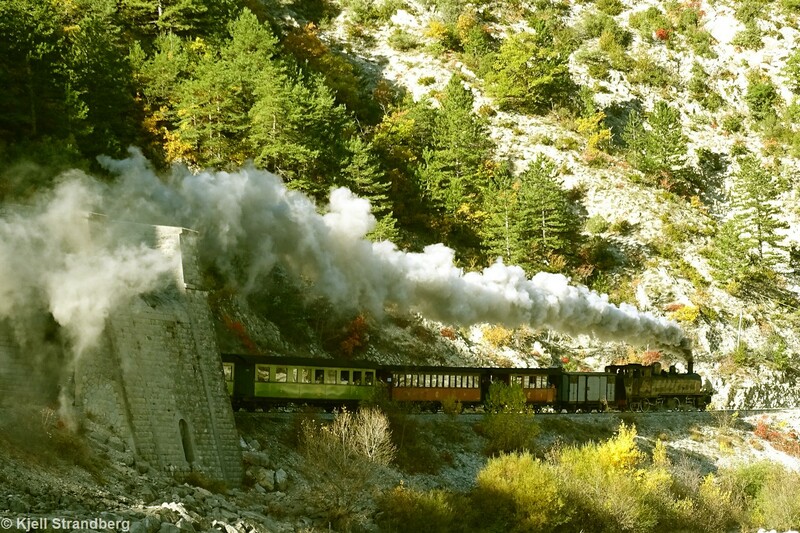 The post presents photos from various locations, during a regular passenger trip from Puget-Théniers to Annot. A steam train can't hide! 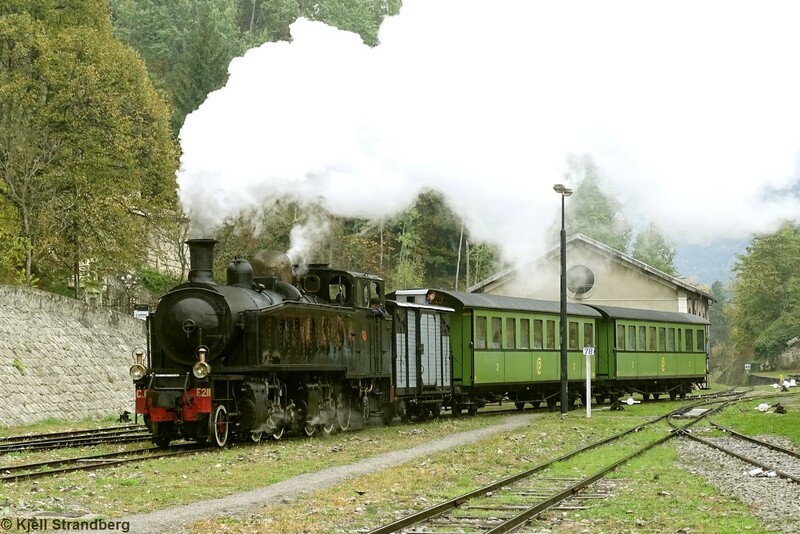 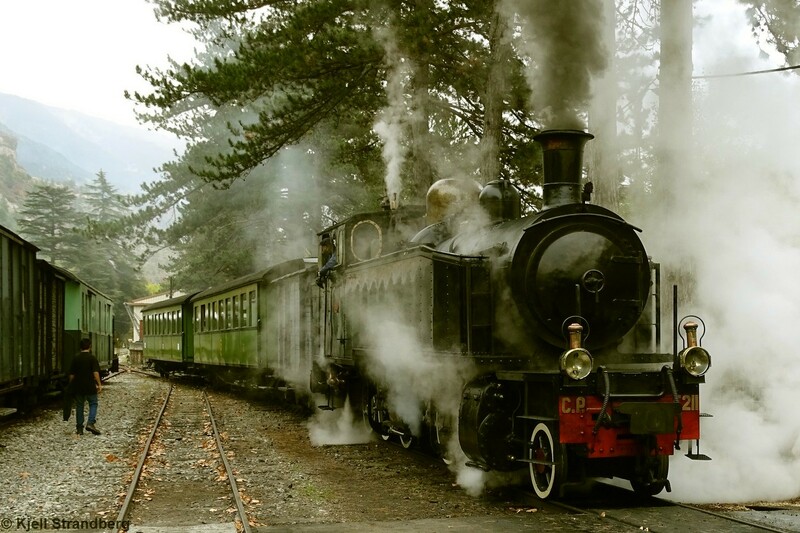 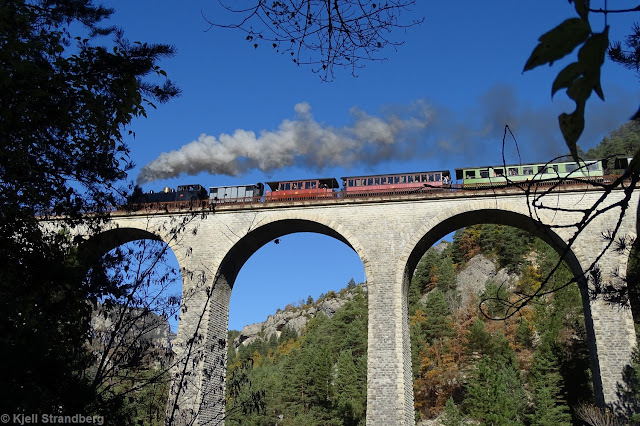 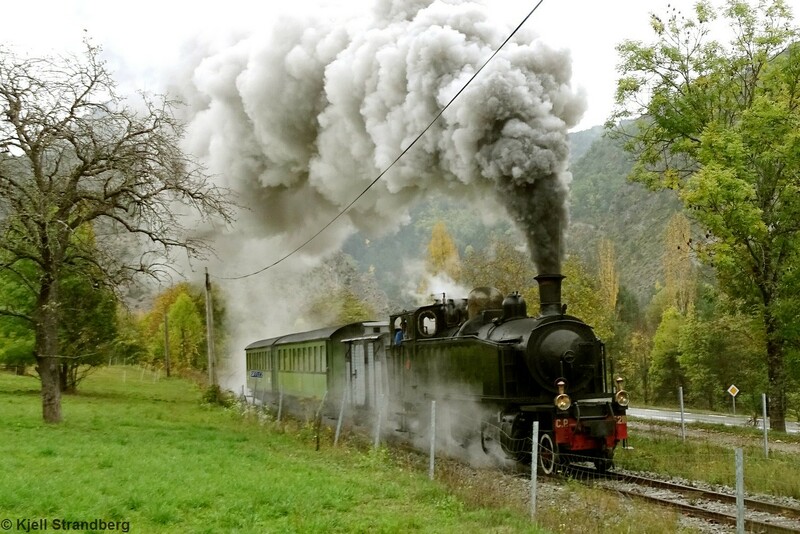 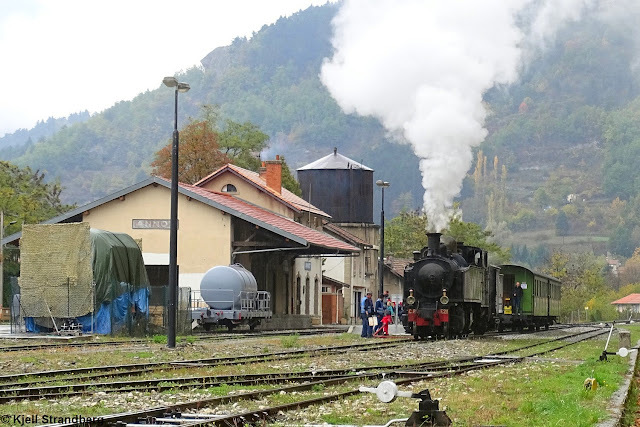 Read a presentation with pictures of the locomotive and its origines, as well as of all vehicles in the Train des Pignes Steam Train .